Welcome to my review for the second Gourmet Gifter box I got to try -First I want to say that I had accidently deleted the photos I took of this box of goodies and by the time I realized that they were all gone . Luckily, the video review is still around and it clearly shows you the box in detail so here is that video first. 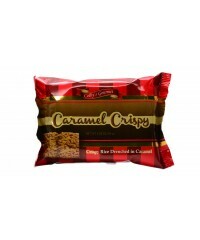 One Caramel Crispy Bar, which was just so good I loved every bite, its made with puffed rice and drench it in a mouthwatering caramel coating. very nice! The second product I got to try was the awesome Butter Toffee Peanuts, Those are so good that they were gone in a day and such a great price to.My dad Loved them! 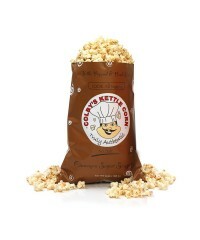 The next item was a bag of their really great Cinnamon Sugar Sensation Kettle Corn This is really tasty.This comes in a large bag so everyone will get some of this really awesome popcorn with loads of flavor. The next time you want to send someone a real treat gift box I hope you give Gourmet Gifter a try .